Fossils on the moon - so much to look forward to. We didnt know whether planets existed elsewhere and the boom! there were dozens, hundreds of them. We'll probably see the same thing with evidence for life past and present. 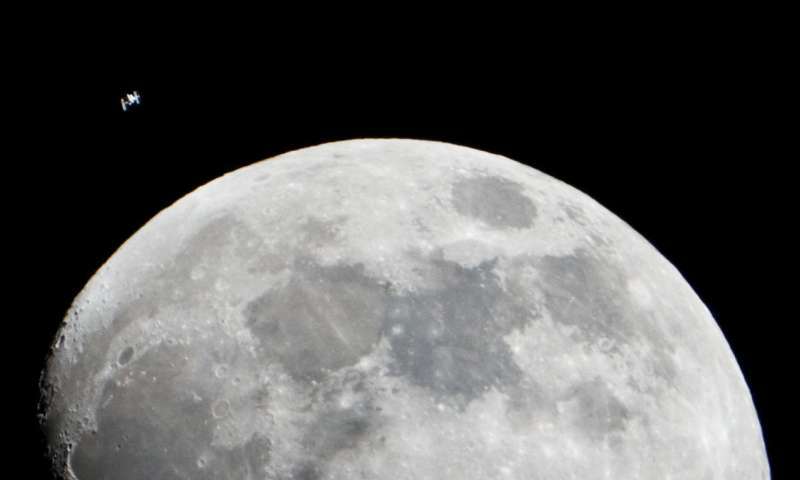 Is this article telling us that once, there was around the moon an atmosphere with enough pressure to keep water over the triple point (and of course below the critical point) so water could remain liquid on its surface and then that earth's life took a ride there ? If water is everywhere, it seems very rare to find it elsewhere than earth in a liquid state for eons. Yes, the T and P dynamic would be rather complicated, but starting with the purported ocean and a vacuum and T=0.0, the 'atmospheric' pressure would equilibrate at ~5 Torr. Being a GHG, the vapor would start trapping heat, raising T, and atmospheric pressure would rise, increasing the water vapor and greenhouse forcing. That's one crude first approximation, I have no idea what the 'starting' temperature would be, let alone what the opening starting conditions would be, preceding the ocean, but frankly I think the vast bulk of outgassed water would be stripped away by the solar winds, magnetic field notwithstanding. Finally, I have yet to see a physics-principled model that would allow any biologically active material to be lifted off the earth by an asteroid strike. I don't see any chain of transfer of energy from impact to ejecta, in so strong a gravitational field as Earth's, without involving shock-melting in the final rock sufficient for escape-velocity. "...the inner planets experienced frequent large impacts. 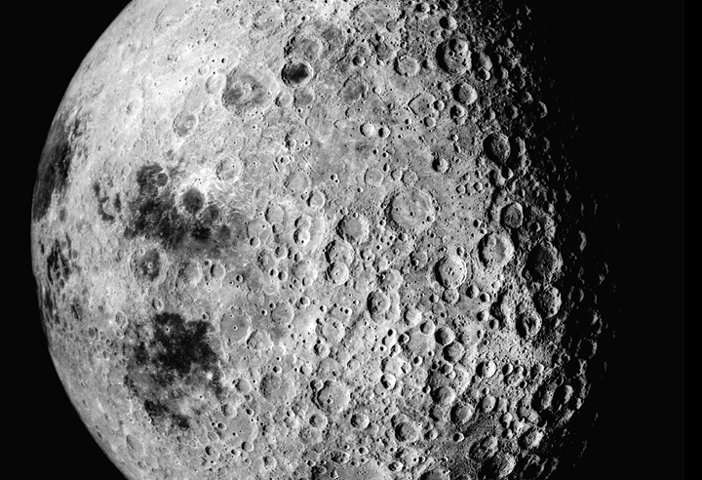 Material ejected by these impacts near the escape velocity would have had the potential to land and be preserved on the surface of the Moon." Material ejected. Just like that. Oh, a big asteroid slammed into the earth and by sheer impact lifted great boulders, rocks, trees, proto-Republicans etc. from 0 to 10 km/s in seconds' worth of acceleration. I'm not buying it. I'm seeing shock-melting of it... ALL of it, from viruses to amoeba, from impact to ejecta. Interesting that they see two periods akin to Mars, an initial one after crust formation and a later one after volcanic peak activity. I don't think spallation has any melting at all since it is not primary shocked but thrown off by the shock waves moving through deeper layers. And transit through the low pressure regions should mean a meteorite like fusion crust at most -an inverse "meteorite" - the innards still being room temperature (until flash frozen). Thinking further, who says shock waves through rock melt the material at all? For impactors it is the failure of waves that does close to an impactor zone. (Energy not dispersed due to sound waves too slow. Dunno about the shock waves.) But spallation happens outside the impact melt zone, possibly many kilometers away at that. 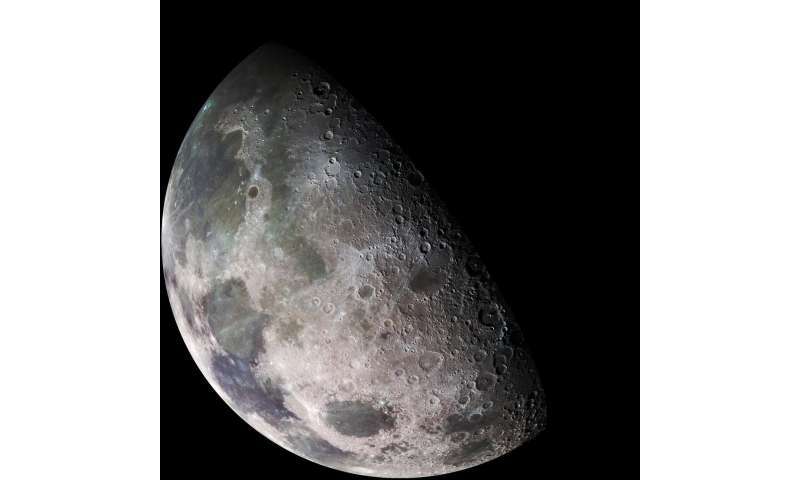 You wouldn't need to eject biological material from earth if the moon was once a part of earth. "...not buying your shock melting, first time voiced idea, not tested or even published. ;-)"
2nd, spallation involves small, brittle, objects where even very small velocities suffice to 'chip-off', so to speak, a chunk of material, and and can involve little or no heating whatsoever. It is the primary source of wear for ball-bearings, for example. Furthermore, you've illustrated the problem: no physics-principled citations. I took up the question once with one of my profs, and he could provide no sources. I need at least a physics-rigorous computed simulation, not hand-waving explanations. We're back to square one. That would entail an (unlikely) post-biotic earth scenario. Volume 59, Issue 2, August 1984, Pages 234-260 (with 221 citations!) and follow up with "The Rocky Road to Panspermia," H.J. Melosh, Nature, Volume 332, April 1988, Pages 687-688. The spalled material comes from material a significant distance away from the center of the impact, and the largest impacts are the most productive. I take slight issue with torbjorn's statement that spallation comes from "shock waves moving through deeper layers." More precisely, it occurs in near-surface material resulting from a combination of primary and secondary shock waves.